Every morning I walk in the countryside, during which I reflect on the many aspects of beauty, what beauty means to me as an individual, and, what beauty means for the work I do. What beauty means were we to use it as a frame and practice for ‘living’ and ‘doing business’. I do this because of the ugliness I have experienced in my professional and personal life, and what I continually see around me. This work is based upon ‘more’, how can we make business more beautiful? I feel compelled to answer this question as the response to my book ‘Do Design. Why beauty is key to everything’, demonstrates there is a hunger for beauty both at a human level and by professionals in all walks of life. Beautiful things are prepared with love, infused with optimism they simply say life is and can be worthwhile. It is the way of bringing the good into the world. The effort to create enduring beauty is not dependent on style, but truth. It is beauty that lends things their immortality. Beauty is resilient, its – ‘life affirming’. It gives back to create more life. To create more life that is worthwhile, we need a world populated by Beautiful Businesses. Beauty is key to nature’s foundational design model, its very DNA. The laws of the universe are described as Beautiful. The design of our natural world is one of regeneration. There is a reason every human soul hungers for beauty. And as for scale; we know the earth is vast and the cosmos a little larger. There is something going on. The optimising business metrics in use over the last 30+ years have not enabled all life to thrive. Quite the opposite, these metrics have delivered a rather unpleasant bill. This is why Beauty is the ultimate metric as it supports and sustains all life. Leading economists, respected business institutes, argue for a fundamental redesign of business, its purpose, and governance, if we wish to thrive now and into the future. What is more there is a cri de cœur from the Millennial generation, a generation that has got no ticket to the future, who have got no automatic job, they won’t have jobs for life, they won’t have pensions, many of them feel they won’t ever be able to afford to buy a house, and yet, they are steeped in values. They think a lot about values, they think a great deal about the environment, but they also think a lot about social responsibilities and equality and diversity. This generation, want the cool thing and the right thing. And, they’ve all had enough of ugly. This is not about, ‘either or’ – such a limiting phrase, but ‘AND AND’. These people want positive change. Forbes Journalist Esha Chabbra writes “Every year, Deloitte conducts a survey to get an idea of what Millennials think of business. In 2018: ‘A majority of millennials in every market agrees with the statement that businesses have no ambition beyond wanting to make money.’ Across mature economies as a whole, the figure is 67 percent.’That’s 67% of Millennials surveyed who feel that business is designed to do nothing more than rake in money. Thus, people are frustrated, tired of the corporate ways, and looking for a new model forward. The survey backs it up, arguing that the motives don’t align”. Beautiful Businesses are purpose and values led. Over a decade-long period a Harvard Business School study showed, purposeful, value-driven companies outperform their counterparts in stock price by a factor of twelve or 133%. Then there is Design which is not incidental to modern economies it is integral. Why? Because everything man-made is designed; culture, products, services, code, farming, architecture, materials, you name it, the chair you are sitting upon, or the back lit screen you are reading this on. Everyday we have the opportunity to make everything meaningful, valuable, useful qualities that lift up our humanity. Design of outstanding products and services delivering customer satisfaction results in sustained financial performance. McKinsey found that those with the strongest commitment to design and the most adept execution of design principles had 32% more revenue and 56% more total returns to shareholders. The time of thoughtless design for thoughtless consumption is at an end. Beautiful Businesses create workplace cultures that nurture each and every individual, that make products and services that people love. Positive experiences generate deeper engagement, community and trust. We can only be our most productive when we feel our best. One does not need a survey to make the point of its obvious truth. Beautiful Businesses Leaders respond to a higher order calling of service to a greater good. Their leadership is framed by values and informed by purpose.They know how to lead with compassion, grace and elegance. They know beauty is hard won but it’s effects and benefits are enduringly satisfying. Like the craftsman, the Beautiful Leader purpose driven, is the bringer of peace, and, the maker of Civilisation. A CEO asked me the other day if beauty and design could help them create a better business. I answered why would you want to do it any other way? You cant do business on a dead planet. Our mission: to deliver transformative learning programmes by master practitioners. 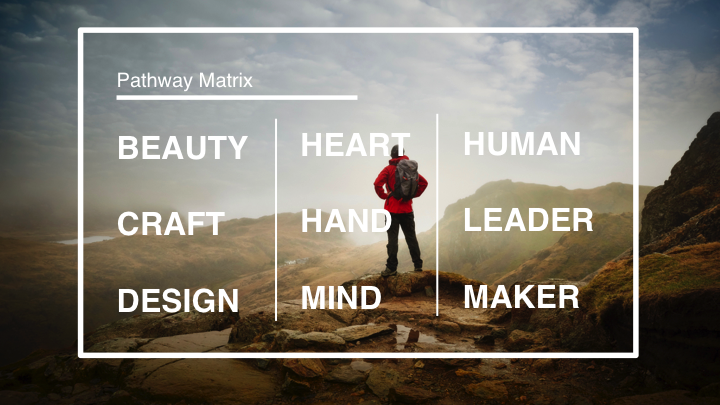 Building a values based pathway through the lens of beauty, craft and design that you can apply to your life and work. Better Human, Better Leader, Better Maker. Releasing your true creative potential as individuals, as Leaders, Makers, and Innovators. 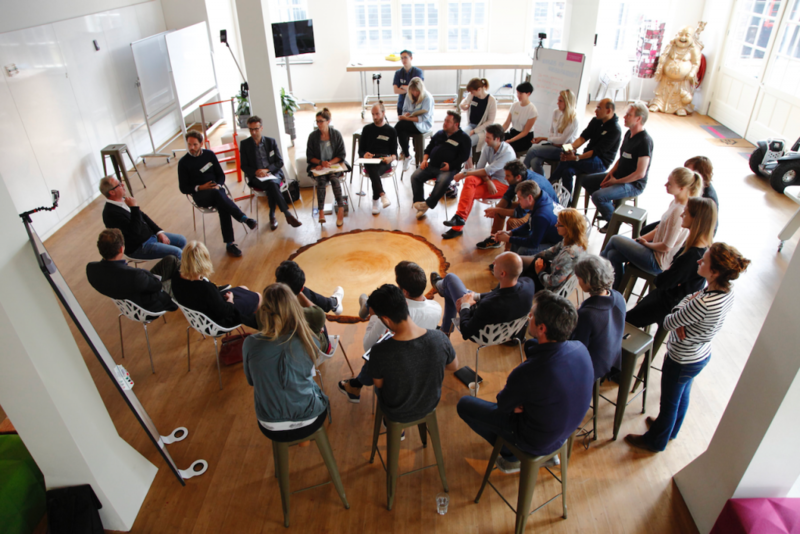 To become a community of people engaged in creating and making Business Beautiful. To book Alan for your next conference email sandran@connectspeakersbureau.com + 353 1 2354905.